Come sing, dance and play! 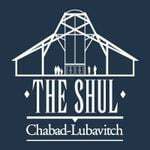 The Shul is famous for its interactive, fun and educational Children’s Services. 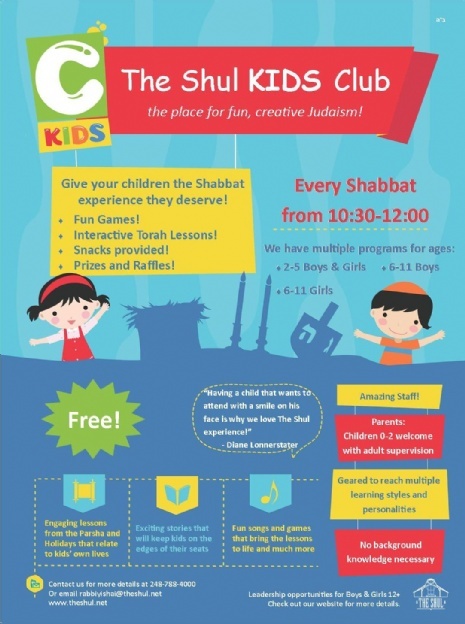 This year we started our new The Shul Kids Club programming with our new youth directors, Rabbi Yishai & Rochel Leah. Games! Friends! Services! Snacks! Safe and secure environment! Our caring staff will care for your precious cargo at our Youth Services while you experience The Shul’s Shabbat Services. The program finishes with joining the main services for the end of the prayers. At this point the Mentch of the Week is announced and the program is over. Each parent is responsible for the safety and appropriate behavior of their children. 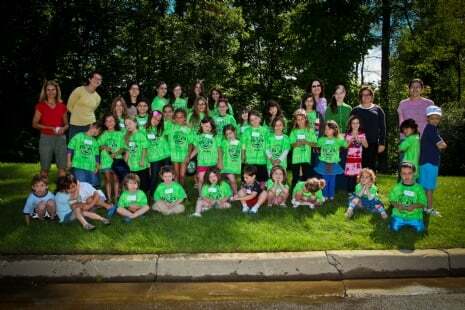 6-10 year olds - join Mussie, Kayla & Rabbi Yishai for fun and games. Collect MCards to earn prizes in our prize store! And don't forget to do the weekly Mitzvah Mission for a chance to earn even more! The program finishes with joining the main services for the end of the prayers. Click here to find out about our EXTRA-SPECIAL monthly "Got Shabbat?" program.